When our good friends at Dermond Property Investments asked us to help brand their newest apartment development we knew we’d have to dig deep. After several brainstorming sessions and research of the market trends, we settled on a brand that perfectly captured the modern look and feel of DPI’s newest property. The branding project called for the creation of a wordmark, color palette, advertising material, and responsive web site. The brand was anchored by a custom-tailored typeface created by Nick Votto, our design director. From this lyrical wordmark and beautiful color palette, our team created a host of wonderful pieces of collateral that helped Avante truly take shape. 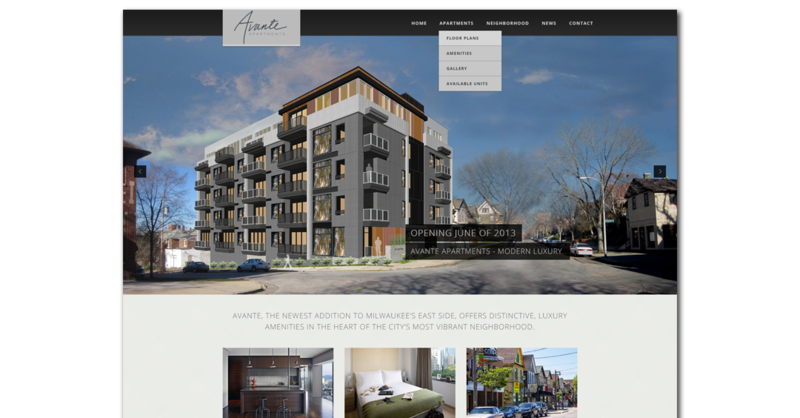 The Avante Apartments website focuses on a strong typographic treatment, killer photography, and clean, clutter-free layout. On top of the striking visuals, it’s built on our responsive framework, making it gorgeous on everything from a smartphone to a jumbotron. Avante’s brand extends to print material, strengthening the brand language by creating a uniform look between web and print collateral. The end result of our work with DPI was another wonderful brand, fortified by beautiful web and print experiences. Together, Envy and DPI created a brand that perfectly fit the project and conveyed Avante’s distinctive modern luxury. We specialize in branding and web for real estate. 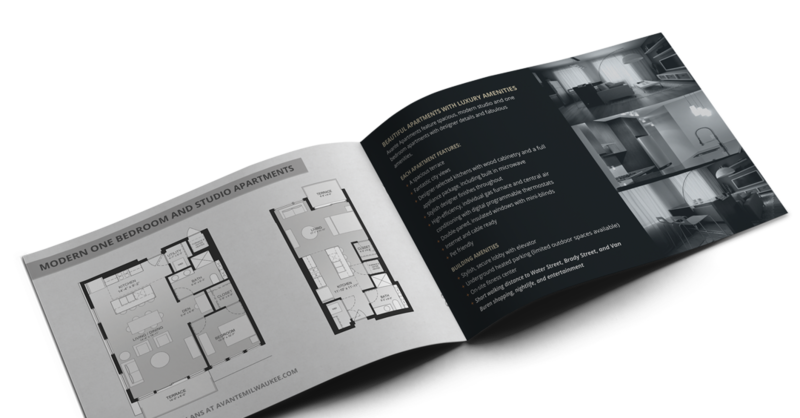 We have had the pleasure of naming, branding, and designing web and print collateral for a number of awesome apartment and real estate projects. We know how important it is to stand out and lease up fast. We’d love to talk about your upcoming project and hit the ground running, even before the shovel hits the dirt.